I have no time today, really none, nada, no time at all. And yet I need to post this, which I cooked for no reason, really none but for Sra who is hosting MLLA -- 17. You can never imagine things you would do for a blog friendship and that includes sneaking upstairs to a darkened room to make a call to one's favorite blogger while real life friends and family banter down. Cholar Dal is the dal with uber arrogance. It is a bit of a snob, not the kind you would like to come home to every day but the kind you would like to glamorize your dining table with when you have company. Standing alone, presumptuous, it might not seem to be the best thing to befriend. But when it has company with Kachuri or Luchi or even a Pulao it will dazzle you. 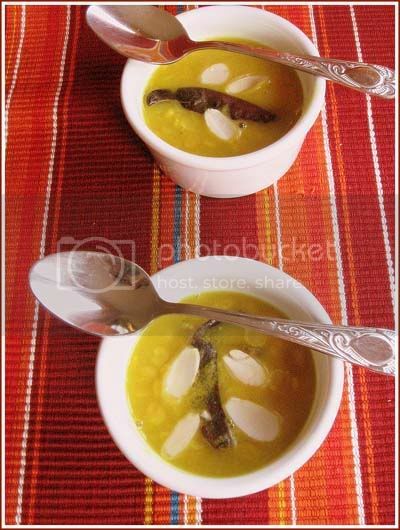 Cholar Dal narkel diye or cholar dal with coconut is a very popular bengali dish and is a fixed item on the menu on wedding feasts or during Durga puja bhog. It is mostly cooked on special occasions and that could be the only-son's-getting-the-visa-day to the only-son's-homecoming-day. Usually it is not an everyday dal though you could have it everyday and there is no one stopping you. When I made it last week, I did not have coconut and so skipped it, instead I adorned the dal with almonds. It was delicious and all I wanted with it was some Kachuri. Maybe another day, another time. for 6 minutes after steam has built up in the cooker or say about 10-12 mins on the whole. The lentils should be soft and cooked by this time, if not you need to cook more. Note: Once cooked, you may fish out the whole cardamom and whole clove from the dal. I will sometimes skip the whole garam masalas while pressure cooking and add only later. Heat 1 tbsp of Oil (or Ghee) in a Kadhai or in a soup pot. Note: Ghee works best for this dal, if you don't want to use ghee as the cooking medium, add half a tsp towards the end for flavor. When you get the aroma of the spices add the cooked dal to the pot and saute. Do not add the dal water at this point. Reserve the dal water for later use. Add a fistful of golden raisins, salt to taste, a pinch or two of turmeric and mix well. You can add a little grated ginger, I don't necessarily do it always. Add about 1/2 - 1 cup of water and let the dal simmer till it comes to a boil. This dal will be on the thicker side and not very liquid, so simmer till it reaches a thick consistency. Just before taking off the heat add 1/2 tsp of sugar and mix. Add 1/2 tsp of ghee if you have not used ghee for cooking. Taste and adjust for seasonings. Tip: If you are not used to whole garam masalas in your dal, fish out the cardamom, clove, bay leaf and cinnamon from the dal at this point. Garnish with fried pieces of coconut. Since I didn't have coconut I garnished with blanched slivered almonds. You can also add a little grated coconut as the garnish. Tip: A friend suggested adding a little Kasoori Methi to the dal at the very end for non-Bong touch. Have never tried that myself but she said it lends a nice flavor. Wish i had this for my lunch today. If it wasnt for the red chilli, I was thinking this was Chana Dal kheer :) what with the almonds. A must try for me now! Cholar dal and luchi, there's nothing better to have on a Sunday morning. Amar narkel diye cholar dal ta khub bhalolage. Almonds diye kakhono try korini, but it sounds quite interesting :). 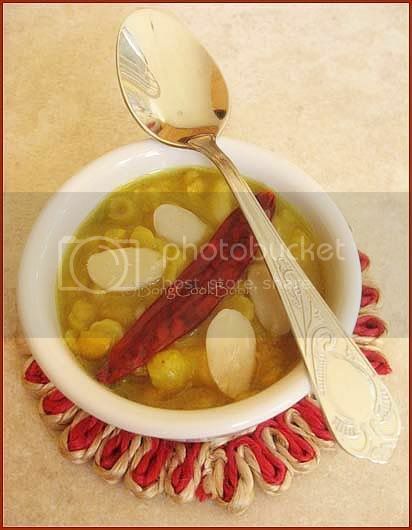 This is really simple like any other dal but goes very well with Poori etc. There is a Chana Dal kheer too ? In our parts chana dal, like Nirmala mentioned is always used as accompaniment - added to veggies, seasoning etc., but never a star by itself. Got to give this way a try. Almond for coconut is the new in thing so you are right on. looks awesome ...ki bhalo rang hoeche.I also love cholar daal especially with Kochuri. amar akta version ache dekhi samay kore post korbo. love cholar daal especially with kochuri...dekhte fatafati hoeche...ki darun rang hoeche. A virtual friend is more stronger this days....Almond in dhal definetly something crunchy ! And I'm thrilled! Thanks. I have a cholar dal too, on my blog - it's one of the first Bengali dishes that I ever tried (in the pre-blogging life). aaj shokhale ami bhachilam je cholar dal ami pot korini. of bengali dishes, A loves this cholar dal the best. luchi ar kochuri korlei chola dal kortei hoye. almonds sound good! The recipe is perfect as it is. Adding Kasturi methi would clash and totally ruin the subtle flavor of coconut. I originally come from north and have moved to Bengal and see that people here love to put things just for the sake of it to ruin the taste. 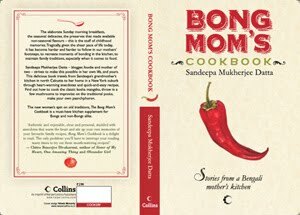 They ruin the taste of classic Bengali food and even other food. Some caterer here kept arguing with me about Dal Makhani getting char magaz and curry leaves. All my life spent with Punjabis here in Delhi and Punjab, I never ever saw these two ingredients added to daal makhani traditionally cooked at dhabas or household. ohhhhhhhh! My Bengali friends spoke about this always. Is this an authentic dish? The addition of almonds is very interesting! My friend and I would frequent a bengali hole in the wall place and they would serve this dal with chawal and roti and a green chilli on top..it used to taste so darn good! The almonds are a beautiful touch! I made your alur dom two days back (with double the spice!) and it was a great hit! Thanks for the Hing suggestion. My dad loves that kind of soups so I think that I'll send thin link to him. How do you recommend I cook the dal if I have no pressure cooker? Just simmer it for an hour?